Sometimes, Reddit can be extremely clever. In one of the most upvoted Reddit posts ever, "Waterboarding at Guantanamo Bay sounds super rad if you don't know what either of those things are," users made witty, heartbreaking jokes about torture at the military prison in Cuba. The title of the post is pretty accurate — "waterboarding at Guantanamo Bay" does sound like a cool water sport on a tropical beach if you live under a rock and have no idea what it actually means. 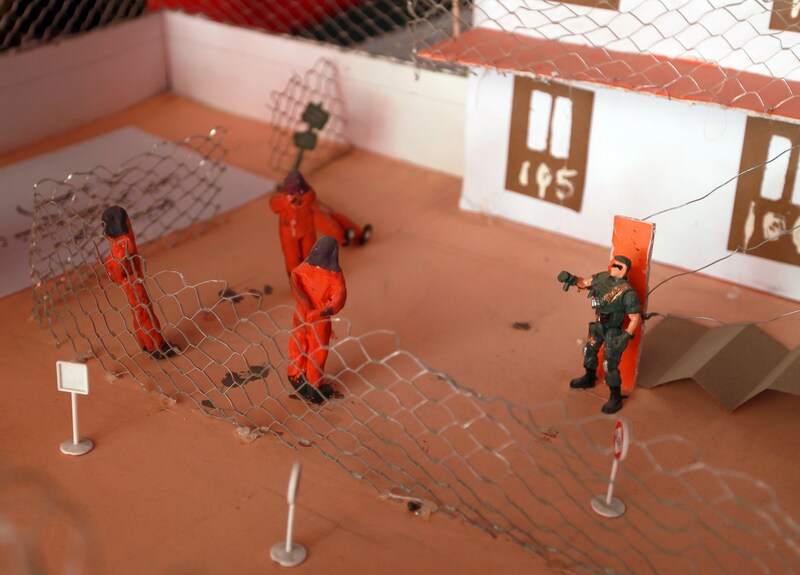 Guantanamo Bay is infamous for poor conditions and torturing prisoners. Bush administrations officials admitted that three detainees were waterboarded, a form of torture that mimics the feeling of drowning, at the site, but a 2012 report by the Human Rights Watch says there could have been many more. Abu Zubaydah, a suspected senior Bin Laden lieutenant, reportedly underwent the process 83 times and told the International Committee of the Red Cross: "I struggled without success to breathe. I thought I was going to die. I lost control of my urine." Joking about waterboarding is like making fun of someone that just died — never really appropriate. That being said, Reddit users had fun joking about how awesome "waterboarding at Guantanamo Bay" sounds if you don't know what it really means, and a lot of the jokes were pretty clever. Here are some of Reddit's best and most depressing Gitmo jokes. "I couldn't believe it, the waves just kept coming man!!!" "We were so doped I don't know how anybody could believe what we said." "We tried our best, but the instructors always beat us." "By that time my lungs were aching for air!" "I got so excited that I needed a few months in solitary confinement just to calm down." "Bro, the waves at gitmo today are totally gnar gnar." When you claw your way past all the weirdness and sporadic harassment, Reddit can be pretty clever sometimes. Why can't more Reddit posts be this witty instead of just disheartening? Gitmo detainees probably wouldn't find these jokes very funny, but I highly doubt they have access to Reddit, considering they're in a high security, frankly terrifying prison.